Jan van der Crabben, CEO & Founder of Ancient History Encyclopedia (AHE), recently sat down with Nick Brown, a teacher of archaeology and now novelist, to discuss his latest title: The Wooden Walls of Thermopylae. Brown’s book is a work historical fiction centred on the battle of Thermopylae, as told from the perspective of a foot soldier. AHE: Mr. Nick Brown, thank you for granting AHE this interview. In a few sentences, what is the basic plot of The Wooden Walls of Thermopylae ? 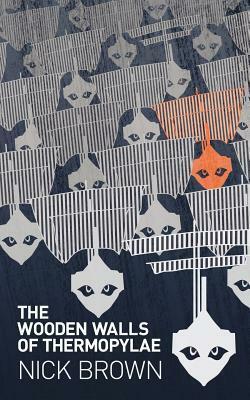 NB: Wooden Walls follows on from Luck Bringer and is a research-based novel. I wanted to fill in the gaps with evidence based conjecture to flesh out a great narrative. The Athenians have won their battle at Marathon and Athens is a city seething with fear and treachery as it awaits the revenge of Xerxes, king of the Persian Achaemenid Empire. 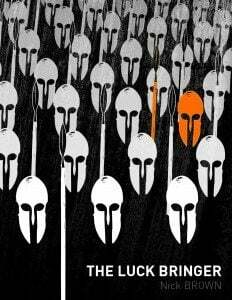 It tells the story of the desperate alliance between Sparta and Athens, and how it led to Thermopylae and the destruction of the city of Athens. It also gives a flavour of the experience of the men and women who lived through these years, providing an answer as to how the three hundred Spartans came to die in the pass of the Hot Gates. AHE: What is it that fascinated you so much about this particular period in history? NB: I cannot understand why this period with its range and excitement is neglected in fiction when compared to Rome. I have been fascinated by this period since studying ancient history at university. Early on, I had to produce a piece of work on the Athenian general, Miltiades, who led the Athenians at Marathon. I found it amazing that a renegade like Miltiades managed to persuade the hostile Athenian politicians to leave their city and face what looked like certain death on the beach at Marathon. Within two years the Athenians tried and convicted Miltiades for acts against the city. What happened? This period of Greek history is the foundation of Western culture, but in 490 BCE this nascent democracy looked unlikely to survive. And yet in a period of about fifty years, modern politics, philosophy, architecture and drama were born. The story of those years is one of sacrifice, courage and innovation unrivalled by any other time. AHE: How did you go about your research? Did you visit museums, archives, and did you visit the locations you mention in person? NB: I have been involved in researching, writing about and teaching this period ever since university. I have also worked as an archaeologist, guiding groups around the sites. Most of the ground covered in the books I have walked over, and this has helped in imbuing the scenes with feeling and realism. In some cases, this has enabled me to say something new. I particularly enjoyed writing the sections based on Samos in Luck Bringer; they grew out of my experience writing an archaeological walking guide on the ancient city of Pythagoreio. Sites like Marathon and Thermopylae ought to be approached with an open mind; at the right time of day, they still have an aura of the past which is discernible. This has helped greatly with my interpretation of both battles. One of the most attractive things about this period is that the surviving evidence is incomplete and often contradictory, so there is space for reinterpretation. In terms of the texts, I was fascinated in the way the histories afford little space to women and yet in the plays of Aeschylus — one of the main characters in the Luck Bringer cycle — they are front of stage. Aeschylus fought at Marathon and Salamis; he lived these events in a way Herodotus and Thucydides did not. We need to listen to his voice with at least the same respect. AHE: Miltiades is somehow omnipresent in your book, even after his death. What do you think was the true reason for his downfall? The Luck Bringer, the first novel Nick Brown’s series. NB: Yes, Miltiades dominates Luck Bringer and his spirit haunts Wooden Walls. He is a complex mixture of hero and pirate. A man more removed from the spirit of democracy being nurtured in Athens, would be hard to find. Added to this, he was forced to flee his territory of the Thracian Chersonese, where he ruled as tyrant, by the Persian army, as a man high on Xerxes’ ‘wanted list’. He brought with him nothing but trouble. Athens was a divided city where many of the leading men wanted to accept Hippias, imposed by the Persians, as tyrant of the city. The other faction was that of the democrats, led by Themistocles, and to these men Miltiades represented exactly the type of politics they wanted to overthrow. Miltiades had few followers, fewer resources and little support; all he brought were four triremes and the enmity of Xerxes. Despite that, within less than three short years he had persuaded the Athenians to unite under his leadership and fight the Persian army on open ground, something no Greek army had ever managed successfully. Two years later, he died in disgrace. I think after Marathon he was regarded as a destabilising and over ambitious force by all political factions; personally, I think his demise was a consequence of this and his own hubris. His expedition to Paros was ill-conceived but following his victory at Marathon it was allowed to happen despite his refusal to fully explain the reasons for it. Once it failed, his enemies had grounds to persecute him and his defence was hampered by the fact he was dying, probably from gangrene, as a consequence of an accident on the disastrous expedition. What a story there is here, Jan! AHE: The uneasy alliance between Athens and Sparta is a explored in-depth within your book. What were the reasons for this alliance between traditional enemies? NB: Wooden Walls is the story of how the Athenians and Spartans managed to overcome their mutual distrust and combine to fight against the greatest empire the world had seen. The characters of Luck Bringer (Mandrocles, Aeschylus and the others) appear once more, but the guiding spirit of this book is Themistocles, the most remarkable man of this period. I felt that the best way to understand the uncertain alliance of Sparta and Athens was to see it through his eyes. Themistocles’ combination of cunning and vision, more than anything else, is the key to the Greek success in the forthcoming war. His vision enabled the Athenians to develop the most significant weapon of the war, the fleet and his cunning and application of Realpolitik hooked the Spartans. Themistocles is one of the few politicians to succeed more than once in putting city above self. Wooden Walls ends with him persuading the Athenians to abandon their city to the Persians. He showed the Spartans that whatever sacrifice they made, he would match it. Without the strategy of Themistocles it is likely that the Spartan idea of fortifying the Peloponnese and abandoning the rest of Greece would have been adopted. It was Themistocles who showed them how without a fleet such a tactic was doomed. One of the themes of Wooden Walls is that, despite its mythic status, Thermopylae was a far less important engagement than the naval action that guarded the Spartans flanks at Artemisium, which pointed the way to Salamis. Themistocles is the archetype for the politicians who inhabit TV series such as House of Cards, but he also combined his manipulative dexterity with vision and a quality we might regard as genuine heroism. In Themistocles, the Spartans were dealing with a far more able politician than any they possessed. AHE: Why did the Spartans change their policies between Marathon and Thermopylae and end up sacrificing three hundred Spartiates and a king at Thermopylae? NB: Working out the motives of Sparta is not easy. Their complicated governance by the Ephors and two kings lacks all transparency. However, the success of Athens at Marathon where they arrived deliberately late must have stung them. They were unprepared to offer ‘earth and water’ to the Persians and would have known that a large scale Persian expedition to subdue Greece was inevitable. I think that the reason they changed their tactics and sent the three hundred to Thermopylae under Leonidas came as an amalgam of three factors: the prestige of Athens, the diplomacy of Themistocles and an internal power struggle within Sparta. Wooden Walls deals with this fully and was very enjoyable to write. AHE: How were Athenians persuaded to put city before self and fight on while dispossessed? Themistocles foresaw the abandonment of Athens and presented it as the will of the gods, so when the time came a mixture of contingency, fear, courage and divine will moved Athenians to support him and sacrifice their city. AHE: Are you working on another historical novel at the moment that you want to talk about? NB: I am currently working on number three in the Luck Bringer series, The Sacrifice of Athena. I am also writing a series of supernatural thrillers base on the archaeology of the Neolithic period which is my other specialism. Skendleby and The Dead Travel Fast are already published, and Dark Coven will come out in the autumn. This series tries to merge the spirit of the ghost story writer, Mr. James, with a thriller, driven by archaeological evidence, and I have been very pleased by the way they have been received. AHE: Nick, thank you so much for your time and consideration. We look forward to reading your future novels. NB: Thanks for the great opportunity, Jan. It has been a pleasure speaking with you. Mr. Nick Brown has an extensive background teaching and writing in the fields of archaeology and ancient history; he taught and studied at both Manchester and Leeds Universities in the UK, worked with the Greater Manchester Archaeological Unit on the reconstruction of a Romano-British Villa, and has contributed many articles to academic journals and magazines on archaeology. He was awarded an OBE for his two decades as Head of Oldham Sixth Form College. He lives with his wife and three sons in Cheshire. His latest book, The Wooden Walls of Thermopylae (published by Clink Street) is available in print and digital copy. For more information, please visit www.NickBrownBooks.com. All images featured in this interview have been attributed to their respective owners. 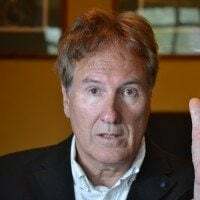 Images lent to the Ancient History Encyclopedia by Nick Brown have been done so as a courtesy for the purposes of this interview. Unauthorized reproduction is strictly prohibited. All rights reserved. © AHE 2015. Please contact us for rights to republication.